General Order 167 issued 24 October 1903, created the infant Canadian Signaling Corps. In 1921 under the title Canadian Permanent Signal Corps, the title "Royal" was granted. Since the inter-war period, Nanaimo has been home to Reserve Force Communicators. Various size sub-units of 3 Area Field Signal Squadron paraded in Nanaimo. In April 1970, the Militia Signal Units were transferred to Communication Command and 3 Area Field Signal Squadron was renamed 744 (Vancouver) Communication Squadron. In June 1976, the Nanaimo Troop was designated as a dependent troop of 744 (Vancouver) Communication Squadron and Captain McMahon became the first Officer Commanding. On the 8 th of June 1978, 748 (Nanaimo) Communication Troop was established as an independent unit of the Communication Reserve by authority of CFOO 10-6. In July 1994 the unit became a squadron. The function of 748 (Nanaimo) Communication Squadron is to serve as a source of fully trained personnel to enhance the capabilities of the regular Canadian Forces. The Squadron’s members generally have non-military regular jobs, but at any given time can have members on call out supporting the work of regular force personnel. Members of the Squadron have served in Europe, the Middle East and the former Yugoslavia. 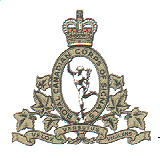 On Saturday, 15 May 1999, the British Columbia Communication Regiment was formed with its HQ in Victoria. This new regiment incorporated 741 (Victoria) Communication Squadron, 744 (Vancouver) Communication Regiment and 748 (Nanaimo) Communication Squadron. On 1 July 2003 748 (Nanaimo) Communication Squadron regained its unit status and is no longer a sub-unit of BC Communication Regiment. The Squadron continues to serve Canada and our community.